Nancy Cawdrey dips her brush into a plate of deep-ocher dye. Holding it near the tapered end, not wanting her stroke to be too precious, she touches the tip to the silk. Color blooms as she quickly leads it across her image of a moose. While the ink is still wet, she scatters a dozen or so salt crystals onto it. Like a living organism, the salt interacts with the dye. As she flicks the crystals off, a dappled texture is left behind. There is no mistaking a Nancy Cawdrey painting. 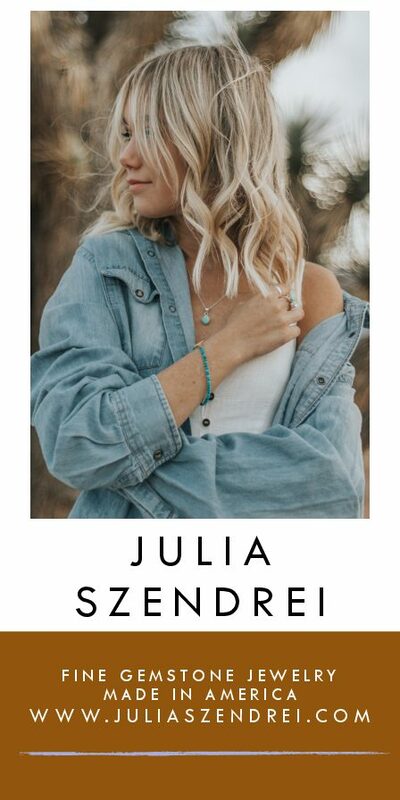 Her style is unique, reflecting both the full expression of her vibrant palette and a contained yet free flow of form. 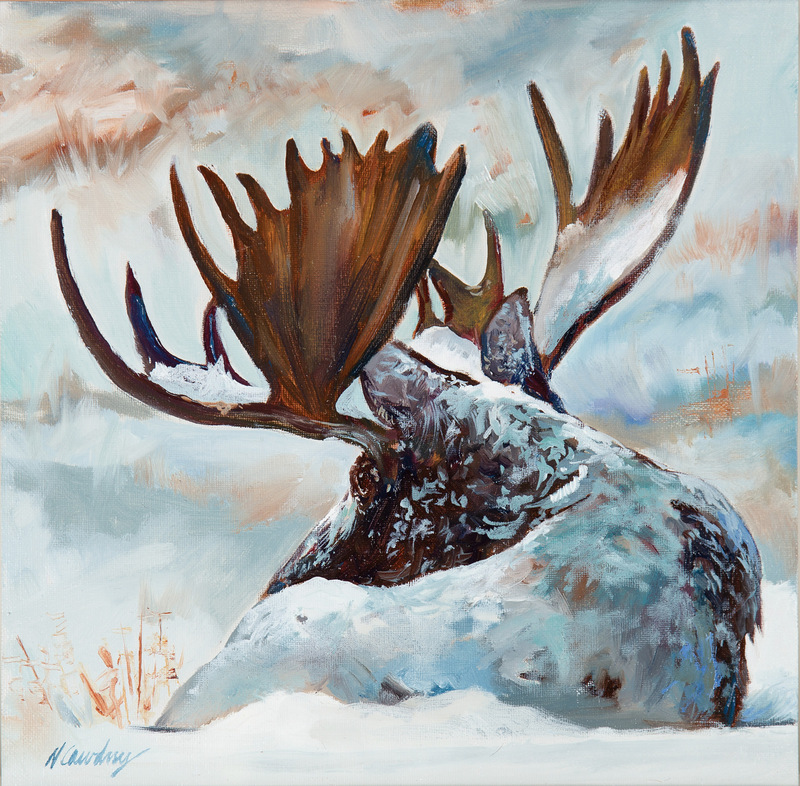 A recurring theme in Cawdrey’s work is an innate connection to her surroundings. 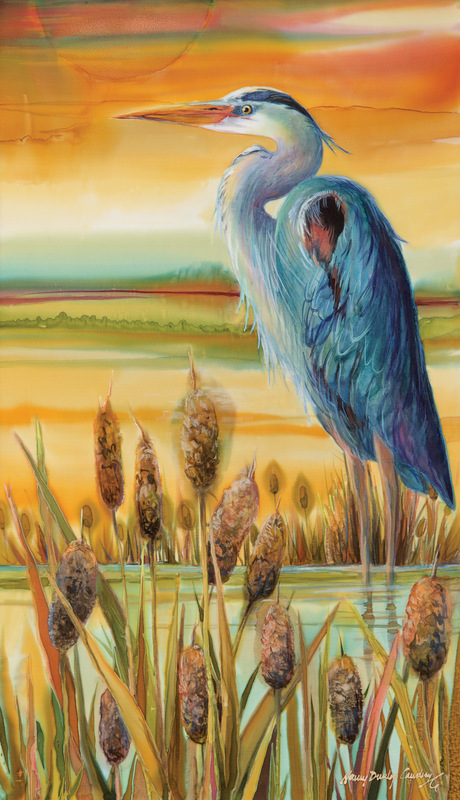 Aside from her dye-on-silk paintings, Cawdrey still works in watercolors as well as with oils. 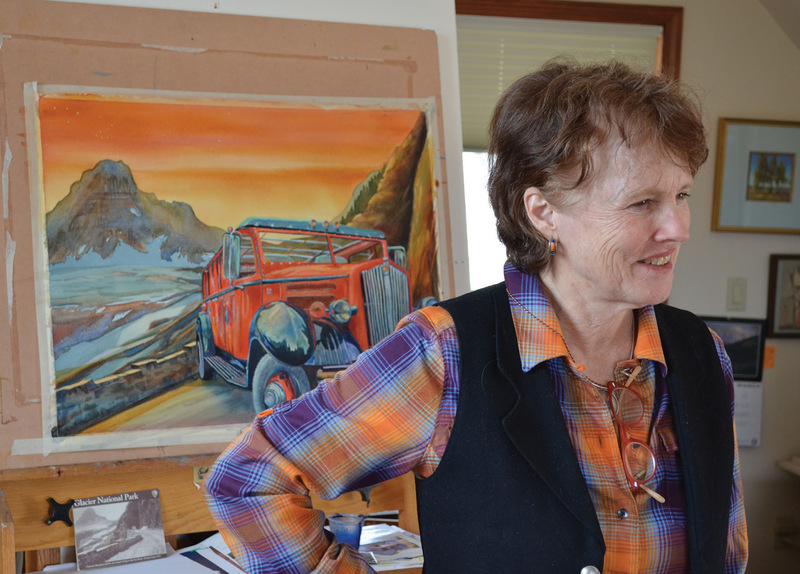 Her studio, located above the garage in the Cawdreys’ Big Fork, Montana home, shows the depth of her range. On a flat surface is the silk painting — tacked on a wood frame, the rough-edged silk de chine material lays horizontal. For this part of her work she needs it flat. 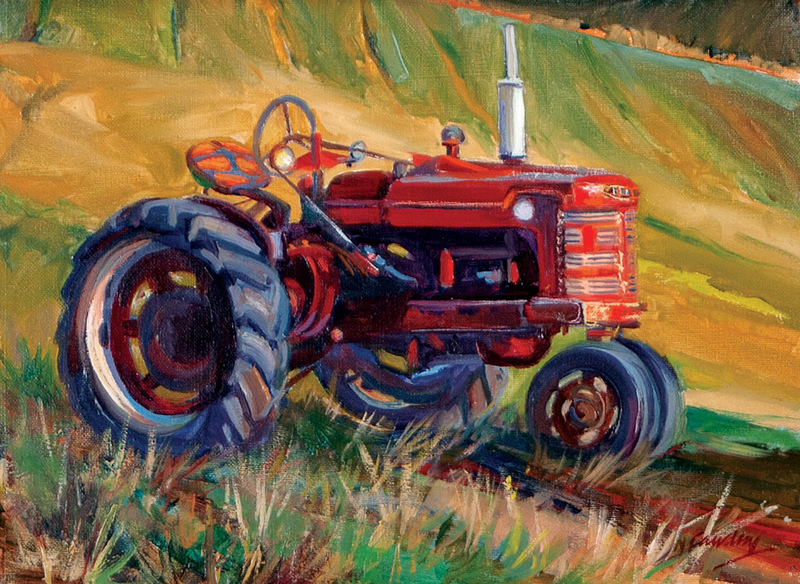 Later, when she finishes this piece at the Charlie Russell Quick Draw in Great Falls, she’ll have it up on the easel. 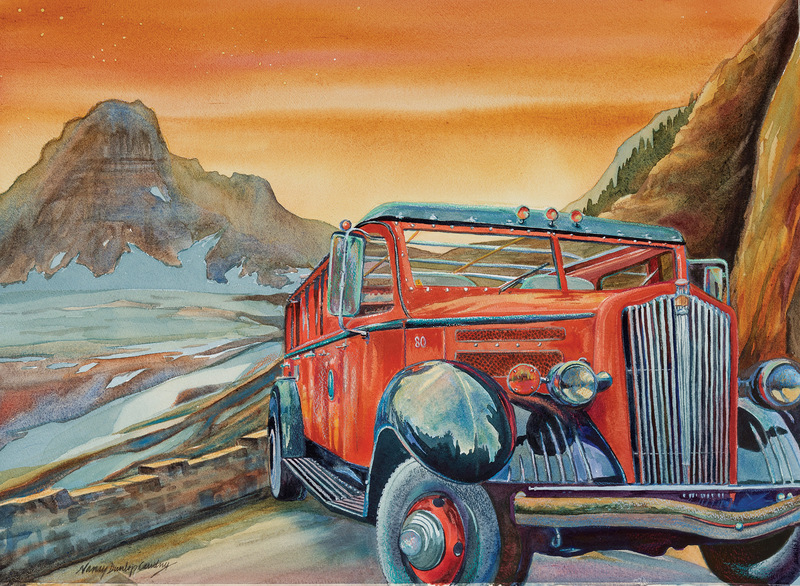 At this moment her easel is occupied by a large watercolor painting of an iconic Glacier National Park red bus. The piece — dynamic, as the fender seems to drive off the painting — is nearly done. With Cawdrey’s signature array of colors, she allows the watercolors full expression while still commanding the design and composition of the overall painting. Cawdrey likes to go back to her roots in watercolors, although last year she sold as many oil paintings as she did silk paintings. This year she wants to remedy that by selling more watercolors. The medium she decides to work in depends not only on her commission commitments, which are a lot these days, but also on her participation in annual shows and auctions. 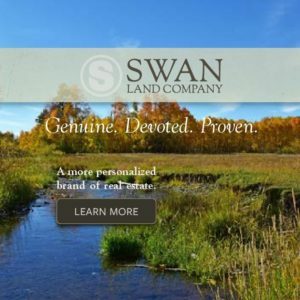 Cawdrey and her husband are advisors to the Heart of the West Contemporary Western Art Show and Auction, which will be held in two locations this year: Bozeman, Montana, and Coeur d’Alene, Idaho. 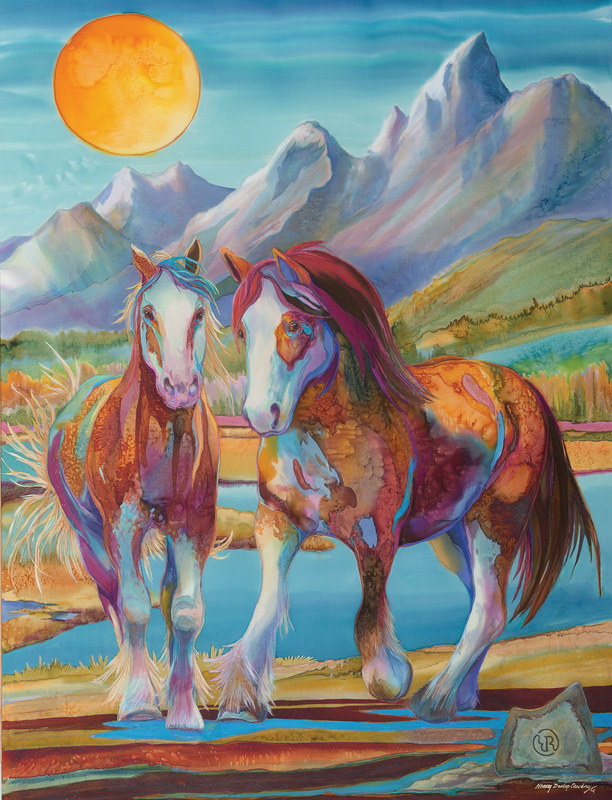 She also takes part in the Buffalo Bill Art Show and Sale in Cody, Wyoming, the Gilcrease Museum in Tulsa, Oklahoma, the Phippen Museum Art Show and Sale in Prescott, Arizona, and a few others as well. At the C.M. Russell Art Show in Great Falls, Montana, Cawdrey was honored to be inducted as a “Skull Society Artist,” which puts her in with the top 22 artists who show their work at the Great Falls Civic Center. 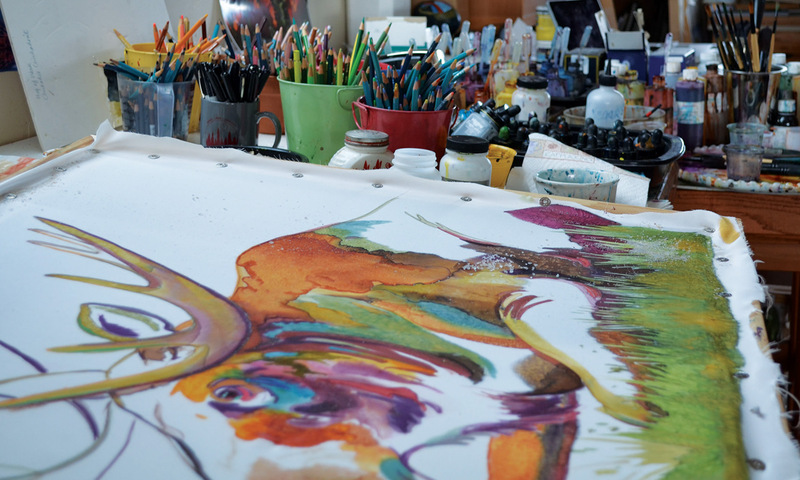 The essence of her versatility is evident in her studio, where every surface is covered: dishes with ink, small canvases of field studies in oils, vases of brushes, and miniature pails of watercolor pencils. Boxes of different types of salt sit next to her tray of dyes, and a pileup of plastic palettes leans against the back wall. One or two portable easels stand ready to go at a moment’s notice. For Stinson, like a lot of Cawdrey’s collectors, he’s aware of the colors and the way the gem-like tones invite the viewer into the piece. Her work is at once accessible and intimate.